This game is about predicting the positions each team's cars will finish each race in, without specifying drivers. It would run for each GP, with pts added towards the final result at season's end. Each correct prediction scores 1pt. If both predictions for a team are correct, you get a bonus pt. The max score for a race is therefore 30pts. Note: You can predict more than 1 team to win the race; or, as above, make 3 (or more) predictions for the 2 podium places. The same for all other prediction types. In above example: if Mercedes finish 1-2 or 1-3 you get 3pts for the team whichever driver wins. If they finish 2-3 or 1-4 you only get 1pt. The final cut-off time for entries for each GP will be 'on the hour' ten minutes before race start. BUT entries received or amended after the start of FP3 will be subject to a penalty of 50% of their score. This will be rounded down, so 20 or 21 pts would be reduced to 10. As I don't have satellite TV I expect to have the results ready 3-4 hours after each race finishes - maybe a bit more for far-eastern races. 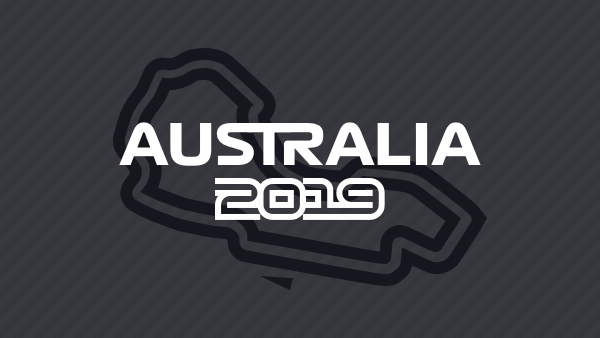 The game starts with the 2019 Australian GP, but new entrants are welcome at any time. Last edited by tim3003 on Tue Mar 12, 2019 9:28 pm, edited 6 times in total. I am potentially interested, despite the huge load of F1 games I already play. I'll look the rules over in more detail later and see if I have any input. Interesting concept, I'll probably join in! Sounds interesting. I'd join in. Good catch; I agree. The deadline as set forth will be difficult to meet in some time zones for a lot of races. I was just trying to pick a time after FP2 but before FP3. I thought midnight might be easiest. If people want to make or change picks right up until the start of FP3, then yes I'll make it just before FP3. That's how we do it in the Top Three Championship, and I think it works pretty well. We used to do 8PM on Friday in the UK, but that presented a lot of issues for people living in the Americas, who wouln't have any chance to catch up on FP2 after work. If the intention is that everyone is able to use information from FP2, setting the deadline as any time before FP3 works pretty well. As I don't want to ban unintentionally late entries, any entry after the start of FP3 but before the start of the race will still be allowed, but subject to a penalty of 50% of pts scored in the race. Hopefully that will stop any tactical late entries..
nb: it'll be rounded down: so a late score of 17pts becomes 8pts. Its a good idea but you will probably want to increase the penalty if the entry is received after the start of qualifying. Waiting until after FP3 is unlikely to be worth 50% of your points, but after qualifying it may well be, especially if we hear about grid penalties etc on race day itself. Perhaps 50% after the start of FP3 and 20% after the start of qualifying. It would still be worth putting in a late prediction as you will get some points, but there shouldn't ever be a situation where waiting until you know the qualifying order would be a good strategy. So do you mean 70% after qualifying? Sounds a bit brutal. I'm not convinced knowing the grid order is as much of a help as many think, especially in a game like this where you arent forecasting exact positions, but approximate groups of positions. And, with all 20 entrants to be forecast, taking account of grid penalties to 1 or 2 isn't going to gain you many pts. Also, does your post mean you are interested in joining in? If so, great, we have 6, which means lift off! As for cut off times, my opinion for what it's worth, just have 1 cut off time and that's that. Easy to administer, quick, clean and everyone knows what the go is. Count me in. Will there be a pick 10 contest this year? Thanks to everyone who has registered interest in the competition, and good luck! I'll start the ball rolling. JN23 - Still looking for a teammate? Wrong thread - you're looking for the Top Three Championship. I know, it's confusing this time of year! Don't forget: entries after the start of FP3 will get a 50% pts penalty.. I think you don't need to be that precise. The categories are the win, the podium, the top six and the top ten. Exediron is right. If you leave it as is, I'll amend 4, 5 and 6 to cat 6; and 7 - 10 to cat 10..
Last edited by tim3003 on Sat Mar 16, 2019 3:05 am, edited 1 time in total. Entries are still allowed until 10 minutes before race start, but they will get a 50% pts penalty. The mediocre showing by Ferrari with neither Vettel nor Leclerc on the podium took everyone by surprise, as did Verstappen's podium - only 1 person scored any points with Red Bull predictions. So it was those who got some of the midfield teams bang-on who did best. With no-one getting more than 3 teams dead right however it was a very close result. On to Bahrain in a fortnight! btw: I was going to include an F1 podium photo with the avatars of the top 3, but then I realised many players don't have an avatar! Last edited by tim3003 on Mon Mar 25, 2019 7:37 pm, edited 2 times in total. Tim, it would be great if you include original team results along with scores. It would be easy for us to compare.